Sonic 1 Open World Experiment is a ROM hack of Sonic 1 by Unlimited Trees. 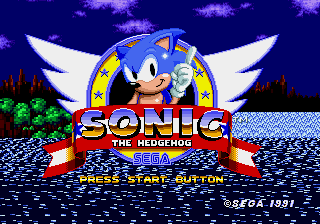 A palette hack of Sonic 1, Green Hill Zone Act 1 is the only "playable" (If you can call it that) level in the game due to the signpost not functioning. One of many S Monitors scattered throught the level.